Just like most brands, Denon wants to cater to all types of consumers. Denon AVRS540BT vs Denon AVRS640H is pretty easy to compare, first of all, it is cheaper. Secondly, it is very basic and would only be good for a home cinema rookie. 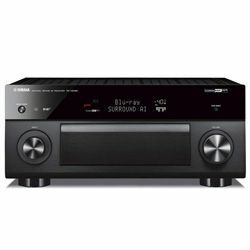 So it all comes down to whether you want to have an AV receiver that has everything you can think of or not. 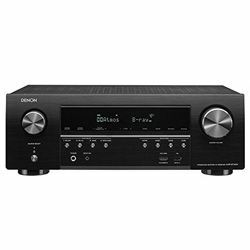 Denon AVRS640H vs Denon AVRS540BT has more cool features for example decoders like DTS neural:X, Dolby Atmos, DTS:X, Dolby surround not available for basic models. 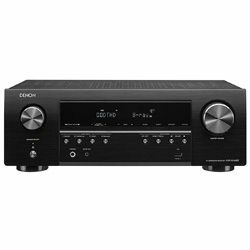 But both AV receivers have DTS-HD master audio and Dolby true HD. But at the same time, Denon AVRS540BT vs Denon AVRS640H has got away more modest power consumption. Compare some humble 310 W with 400 W, that is a huge difference, right? The total output power is totally different as well. 350 W versus 560 W. That will mean a lot for people appreciating the power and unconventional performance. 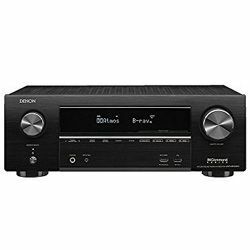 Connection options of Denon AVRS540BT vs AVRS640H are very modest. It only boasts of the Bluetooth option. While the latter also has Wi-Fi and IEEE. AVRS540BT does not have the phones input while the same brand counterpart does. Other connectivity options are pretty much the same, you have AV inputs, HDMI, Optical, Coaxial, USB and Subwoofer. It all comes down to your personal preferences and available speaker set. The smartphone/tablet remote control Denon app works for both of these models, I checked. The remote is also available for both. All the writing and display lettering is white, very stylish on the black matte chrome casing and black display. Plus the front panels are symmetrical looking very cool. The buttons and controls are conveniently located in line on the front panels. Very affordable for an average family. Light and efficient, will not affect your energy bill that much. Easy to set up and the menu is easy to navigate. Extremely boring, at least for an advanced user. The warranty is only available upon request and is unclear. It is a premium advanced model with all the cool stuff to play with. It works with Alexa and has a built-in HEOS. 2-year parts and labor warranty come with every new unit. Its price is around $400. It is heavier than the competitors, around 19 pounds. Some customers reported issues when downloading software updated but I did not notice any.